TEACHERS’ UNIONS WILL consider new proposals on junior cycle reform, the Minister for Education has said. These were drafted by educationalist Pauric Travers, who was assigned to look at how the new course could be implemented. The ASTI and TUI are now on board with this. The Department of Education and teacher have been deadlocked over the issue in recent months. “I welcome this positive development. I have already indicated my willingness to consider proposals put forward by Dr. Travers to resolve the current dispute and implement junior cycle reform. 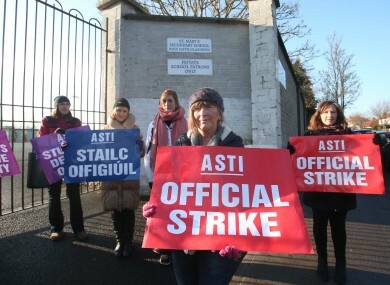 The executive bodies of the ASTI and TUI today decided that the terms of reference for the independent chairperson of the Junior Cycle talks be amended, in the current circumstances, in order to allow him to bring forward a range of possibilities which are non-binding which may form the basis for progress. Email “Teacher unions to consider new proposals on junior cycle reform”. Feedback on “Teacher unions to consider new proposals on junior cycle reform”.